For quantity and quality Tuscany is the region with the most renowned museums in the world. The Uffizi Gallery would be enough to crown Tuscany as the homeland of museums; but there are many other unmissable, some known, others less, which tell centuries of Italian history. Beauty is one of Italian heritage in many fields, not only in art, but also in design, food or the textile industry. If you are on holiday, in addition to the beautiful Tuscan villages and the most famous art cities in the world, we recommend you stop in some of these museums of Florence, but not only. We have chosen five among art, design, history and science. Among the many rooms of the Uffizi where are contained some of the greatest masterpieces in the history of art, there are also some dedicated to the history of fashion. In this incredible Costume Gallery there are over 6000 costumes and fashion accessories. The museum tells centuries of fashion history, up to the most recent names of real artists as Valentino, Armani o Versace. Not to be missed the costumes by Eleonora Duse, the most famous Italian theater actress in history, or the funeral clothes of Cosimo de 'Medici. As we said, Italian excellence and the taste for the exaltation of beauty also applies to design. The Vespa is synonymous with Italy all over the world, starting from his famous appearance in the classic Hollywood film "Roman Holiday”. In Pontedera, where the Vespa is still built, there is a beautiful museum dedicated to the history of this scooter with an immortal design. There are 250 pieces on display, which retrace the history of Piaggio and Italy. If you are looking for something different, here is another florentine museum not to be missed. It is about the La Specola, one of the oldest European science museums. Incredible collections, from the 1700s to today, with thousands of pieces between animals, anatomical waxes, minerals, skeletons. Some of the most beautiful and bizarre things in Florence can be seen here: a can’t miss visit. Beauty, art, science, but also history. There are many museums of torture in Tuscany, (also in Volterra and Siena, for example) but in the beautiful medieval village of San Gimignano there are two really interesting and much visited by tourists from all over the world. It is an exhibition on the history of torture and of the death penalty, from the most distant centuries to the most recent days. An interesting museum from the historical point of view - there are the macabre and bizarre instruments of torture - but which also makes us reflect on the present. Finally, here is a truly amazing museum that not everyone knows. If you are in Florence, we recommend you to visit it. Born at the end of the 19th century, it is a museum dedicated to the processing of hard stones, as lapis lazuli, agates and other stones and minerals known for their aesthetic value. The Opificio was established in 1588 by Ferdinando I dei Medici and is still in operation. Inside the museum you can see some of the workings and decorations in the world, in addition to discovering the techniques. Because when we visit a museum we always need space - for the camera, the tablet, the bottle of water, or for books, guides or gadgets that we would like to buy - take a look at our catalog of women's leather bags or our catalog of men’s leather bags, made in Tuscany. 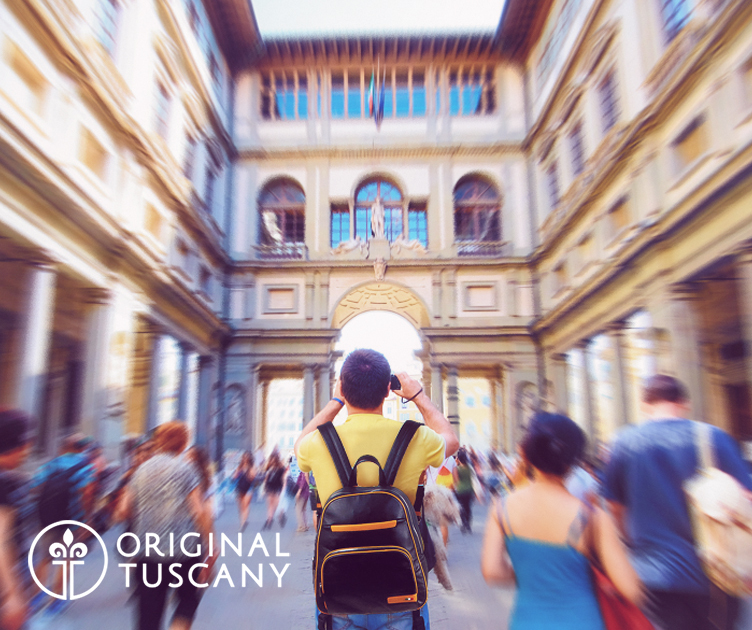 You will surely find the right bag for your walks and for your visits to the Tuscan museums. For us of Original Tuscany, beauty is a fundamental value and we try to communicate it with our bags. The beauty that joins the useful: practical objects with a refined design, craftsmanship and details that combine the taste for refined design and the technical ability of Made in Italy. Contact us now, our costumer care will be happy to help you in choosing your bag.